If your locks have some major recuperating to do after this winter, say no more. I've got some fabulous finds that will help repair, nourish and keep your style in place while being gentle at the same time. You'll be spring-ready in no time! Unwash Hydrating Masque | We can all use some deep hydration after a long winter. Where I live, we still have snow on the ground... spring weather can't come fast enough! In the meantime, I'm replenishing my hair with the Unwash Hydrating Masque. It has no harsh chemicals so it's gentle enough even for my color treated hair. It features organic argan oil to smooth and hydrate and hydrolized quinoa to protect and repair hair. Not only that, this masque is easy to use and comes in a convenient squeeze tube so there are no jars to maneuver in your shower! (I wish more hair masques came this way to be honest!) To use, simply apply about a quarter size amount (more for long/thick hair) to wet hair roots to ends, leave in for three to five minutes, and rinse. This step replaces a typical conditioner so it doesn't really affect my shower time. 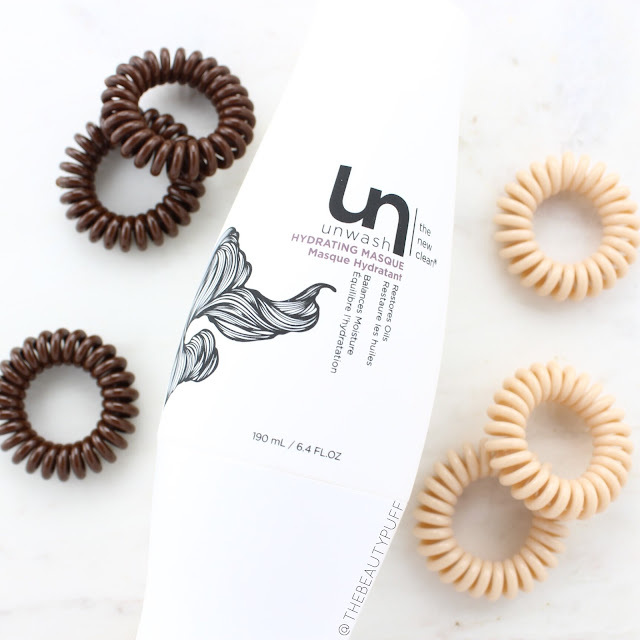 It's an easy step that keeps my hair looking and feeling great through all my heat styling. Get your hair back in shape and ready for spring! You can find these haircare must-haves below.